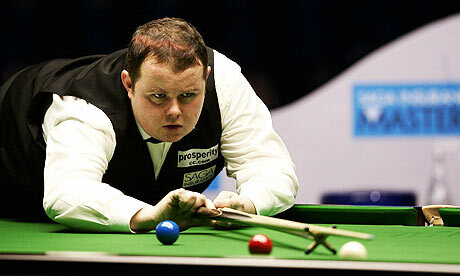 The snooker player Stephen Lee has been released by police investigating suspicious betting patterns. The snooker player Stephen Lee is not expecting to be charged following his arrest as part of an investigation into suspicious betting patterns, his management said today. The 35-year-old, from Trowbridge in Wiltshire, was released on bail this afternoon after being arrested yesterday by West Midlands police and questioned. He has not been charged with any offence and is expected to answer bail in three to four months. A statement from On Q Promotions, Lee's management company, today read: "Stephen Lee was taken to a West Midlands police station for questioning on Thursday 11 February. "Stephen co-operated fully with the police inquiry and was released without charge. He does not expect any charge to be made and denies any involvement with cheating or betting irregularities. "Stephen is now concentrating on practising hard to achieve qualification for the world championship and to fulfil all of his exhibition commitments. "Stephen Lee and On Q Promotions will not be making any further comments and would ask that the privacy of Stephen and his family is respected." Lee was arrested on suspicion of cheating following a joint operation involving the police force and the Gambling Commission. The arrest was made under section 42 of the Gambling Act 2005, which states: "A person commits an offence if he (a) cheats at gambling, or (b) does anything for the purpose of enabling or assisting another person to cheat at gambling." World Snooker, the commercial arm of the governing body, the World Professional Billiards and Snooker Association, today said they were awaiting further developments. "We are aware of the recent news articles concerning match-fixing and are awaiting further reports," read a World Snooker statement. "In instances where the Gambling Commission commences an investigation into a match, the WPBSA work together with the Commission to assist in their inquiries and the WPBSA will hold their own investigation open pending the conclusion. "However, neither the Commission nor the WPBSA will release information surrounding a betting matter while an investigation is ongoing." It is understood World Snooker are unaware of the circumstances that led to the arrest of Lee, who has won four ranking tournaments in a professional career that began in 1992 and also reached the world championship semi-finals in 2003. Lee was once ranked fifth in the world but fell to 25th place at the end of last season. He is 23rd in the provisional rankings for 2010-11 and will not appear at the China Open next month after losing to Tony Drago in qualifying. Lee must also go through the qualifying process for the world championship.